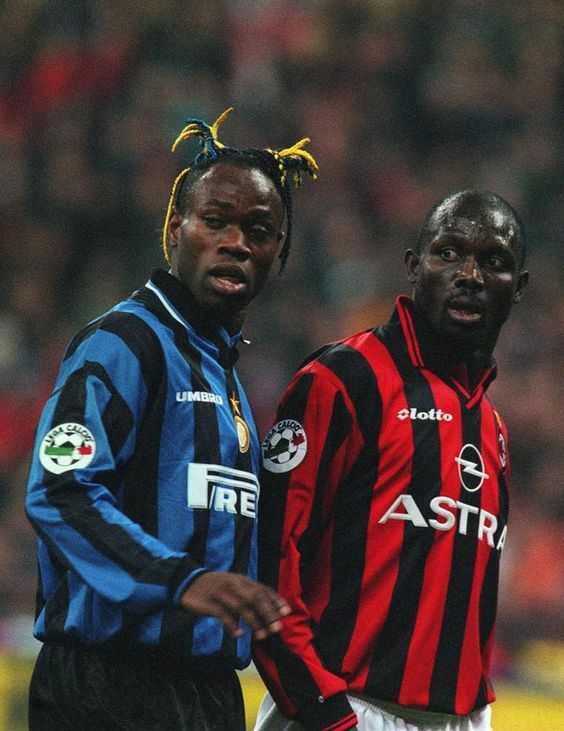 Back then they had Taribo West. If the coreo doesnt have Rino in it, I'll be pissed now. It should probably feature a pitbull at least somewhere. Who of our coaches have had their coreo? An over the curva growl would be cool with growl message. so it would look like without Rino but would be all about Ringhio. As said, i'd prefer a half time message with combining the old #8 with something. do both club fans share the same number of seat in this game or as we are a home team it will be 90-10%? I think when we're the home team the inter fans stay in the curva nord. When we're the away team, the Milan fans stay in Curva Sud. I've always thought it's 75/25. Overall I'd say it's close to 50-50. You don't really feel much difference between home and away games, it's just bigger coreo at home and few extra sectors for Curvas. People buy tickets for the opps in the family. Its like any other game as it comes to divisions. Maybe a slight barter deal to up numbers of curva but I was discuaaing how it looks overall on the stadium.